Plumb - The Overflow Devo - In 2015, accomplished recording artist, songwriter, and performer Plumb, aka Tiffany Lee, released her first ever worship album. 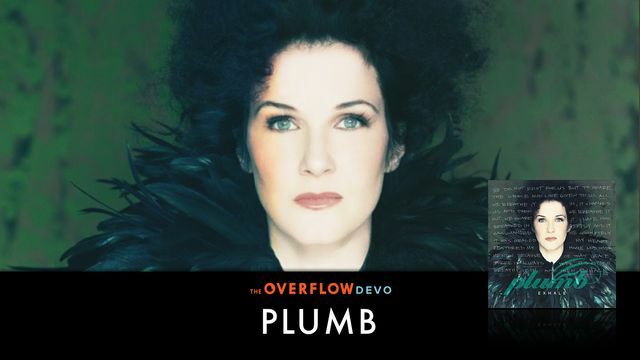 In this 7-day devotional, in partnership with The Overflow Christian Music Streaming Service, Plumb directs us to the scriptural application and her personal experience behind 7 songs from the album "Exhale." There is nothing like rest. The true and genuine peace of letting go of worries, cares, and distractions and resting. Where do we find true rest? From the King, from the Prince of Peace Himself (Isaiah 9:6). He is the one who built the earth. When we keep that in mind, when we keep that perspective as the source of our wisdom, then we find our feet on a secure path and we find a sweetness of rest and sleep. This has been true for me, not just in the dark times but in times of goodness and light as well. This life makes us busy, and it will take as much of our time and focus as we allow it. Are you tired today? Consider resting in who God is, His goodness, and His love for you. Orient your mind to his place, not just in the universe but also in your life. And in Him, your sleep will be sweet.